The Brazilian has been the subject of bids from the Blaugrana in the past but the Blues are said to have rebuffed offers with no negotiations in place. Despite this, the Catalan giants have not given up on the winger's pursuit and The Telegraph claims that they could make a renewed approach at the end of the season. The 30-year-old is presently about to enter the final year of his contract at Chelsea, and so far, there have been no discussions in place over an extension. In this case, the Blaugrana could prise him away for a bargain price in the summer, though that may be dependent on whether the Blues can overcome their transfer embargo. 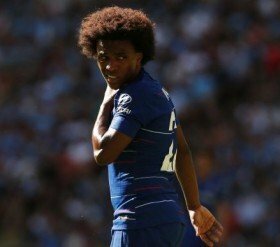 Chelsea are currently restricted from signing any players for the next two transfer windows and the failure to appeal the ban could see them stick with Willian for the final year of his deal.